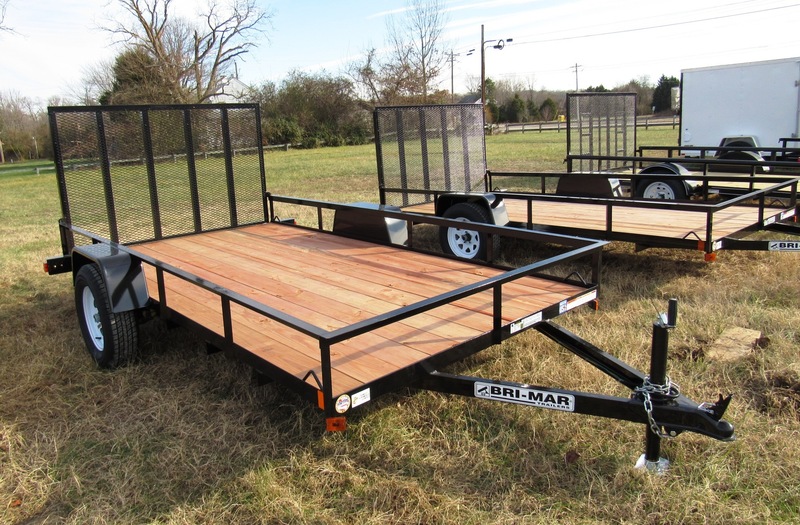 We added Bri-Mar and BWise trailers to our offerings in 2016. 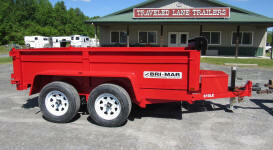 Bri-Mar’s been in business since 1995 and is a major producer of dump trailers. Their dump trailers seem to be everywhere, but they make a variety of other trailer styles as well. 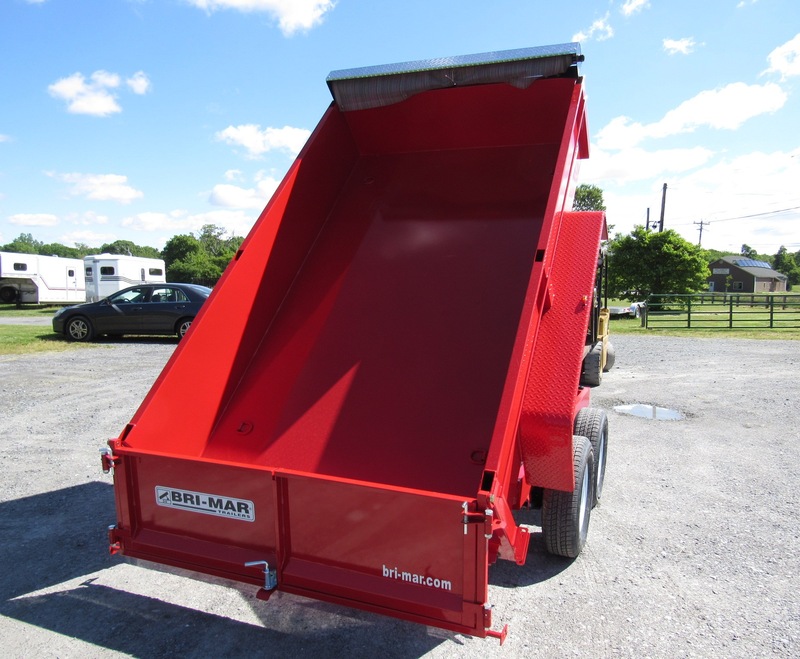 BWise has been in business for about 10 years and purchased Bri-Mar in 2013. 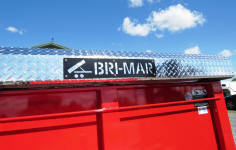 It was a homecoming of sorts, as BWise’s founder was one of the founders of Bri-Mar. Both brands offer high quality products, with BWise being the more upscale of the two. 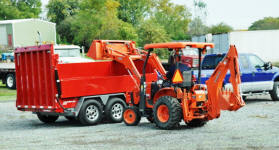 Both brands are produced in a state of the art facility in Chambersburg, PA. 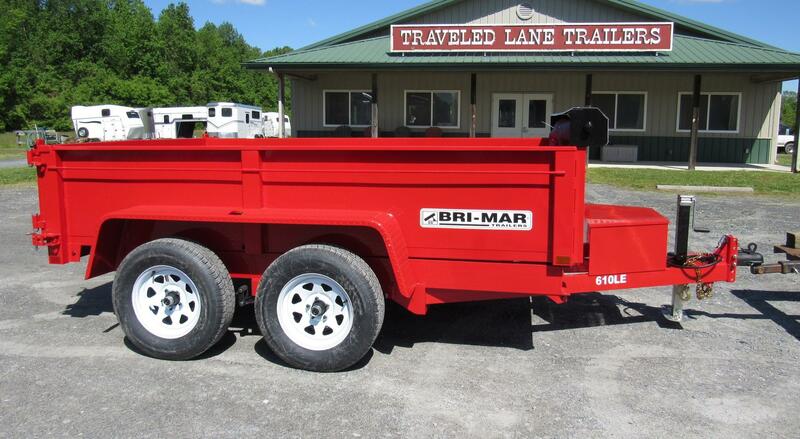 Even though Bri-Mar is the more affordable of the two brands, it’s still a premium product. The first clue is the finish. A Bri-Mar trailer is powder coated on the primer and finish coats. The method by which powder is applied contributes to excellent coverage. They don’t just spray the powder and let it land on the steel. 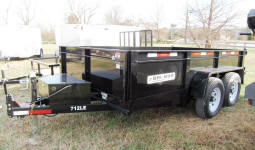 The trailer structure is grounded and the positively-charged powder is attracted to it. Bri-Mar runs the steel structure of each trailer through the curing oven once for the primer and again for the finish coat. 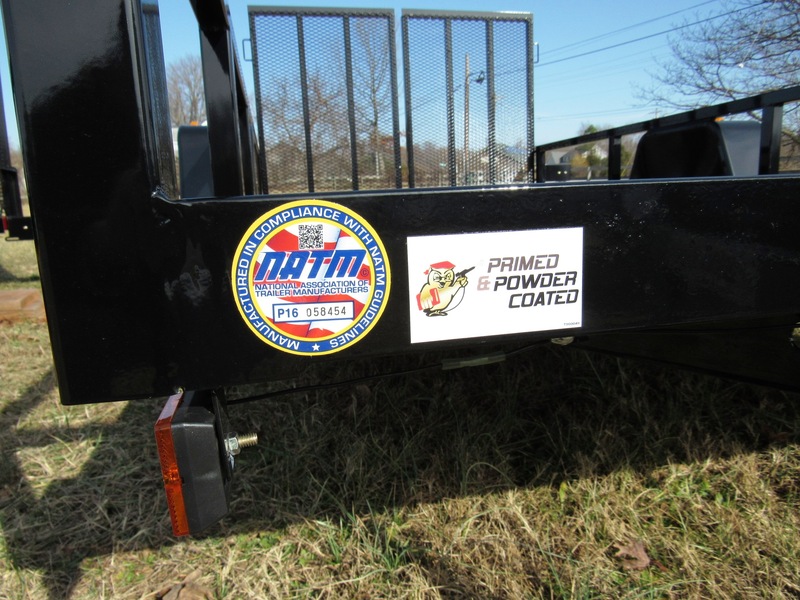 The heat melts the powder into a hard coating. It goes without saying (but we’ll say it anyway) that the trailer-in-process goes through the oven before tires, lights, wiring, etc. 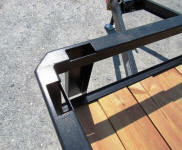 are installed, as these items wouldn’t take too kindly to the heat. 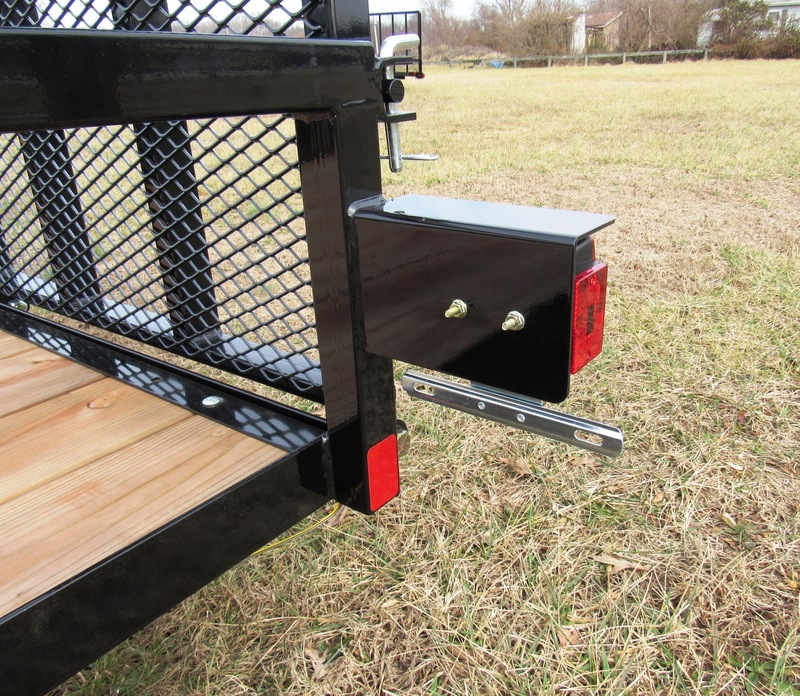 There’s a bit more to the process than what we’ve described here, but suffice to say, even if you don’t care about the technical aspects, you’ll appreciate that powder coating produces a smooth, glossy and durable finish. 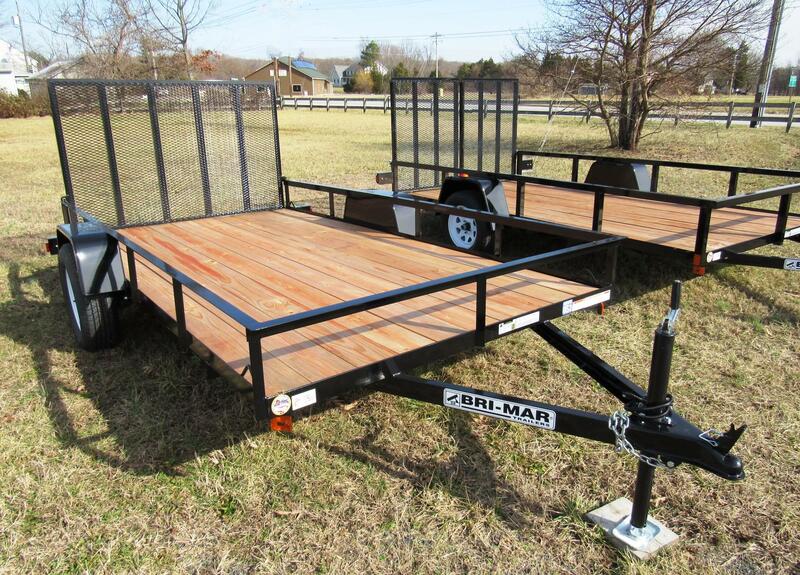 Bri-Mar’s welds are very nice as well. 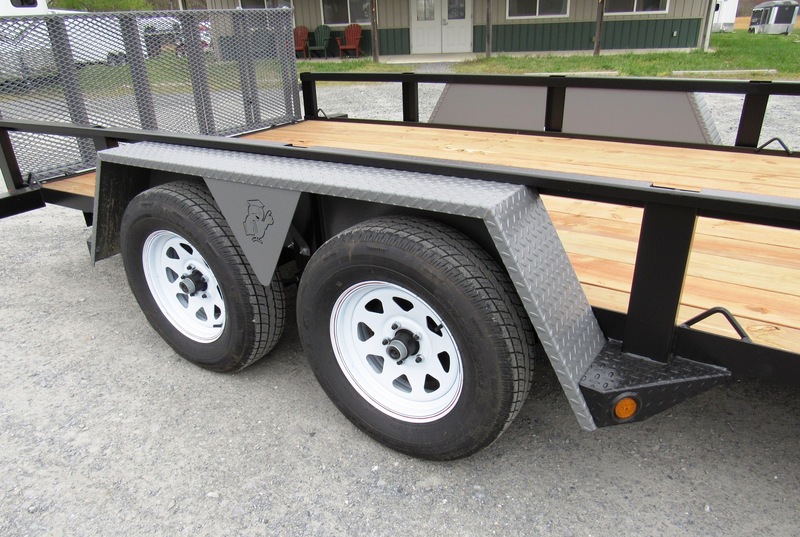 The combination of tidy welds and powder coat finish produces a good-looking trailer that should look great for quite a while. 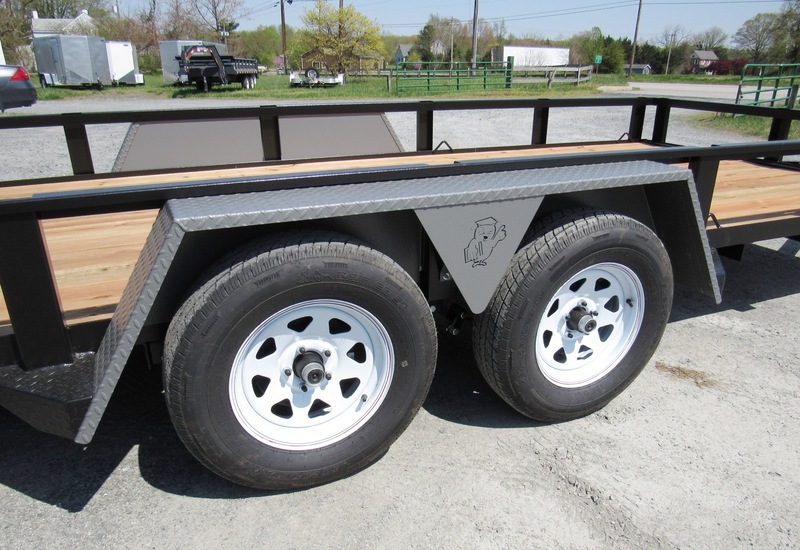 Another Bri-Mar cut-above touch is Dexter EZ-Lube axles. 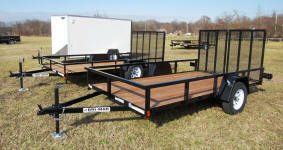 Dexter is considered by many to be THE name in trailer axles. 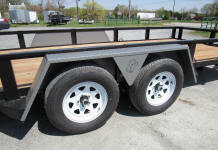 Brakes are required on trailers of 3000 lbs. 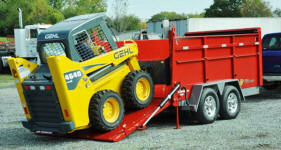 GVWR and higher, and on those Bri-Mars, they’re labor-saving Nev-R-Adjust brakes. Also, Bri-Mar doesn’t take the “brakes on one axle” shortcut. 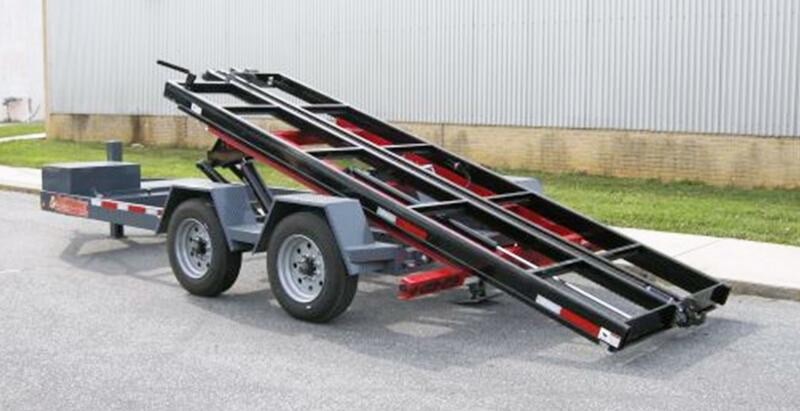 If it has tandem axles, it has brakes on both axles, standard. 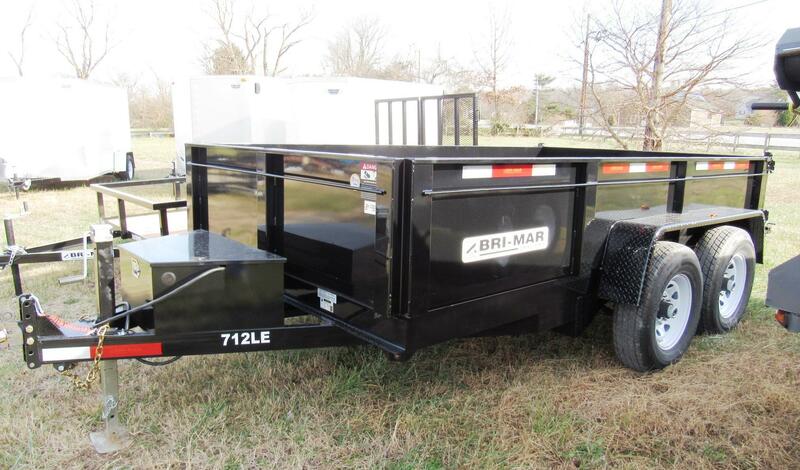 We’ve found Bri-Mar’s UT and UTE utility trailers to be very popular. They’re offered in single and tandem axle models, ranging in size from 5x8 to 7x18. 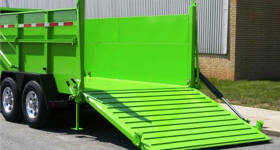 The UTE models have an angle top rail and full-width single gate. 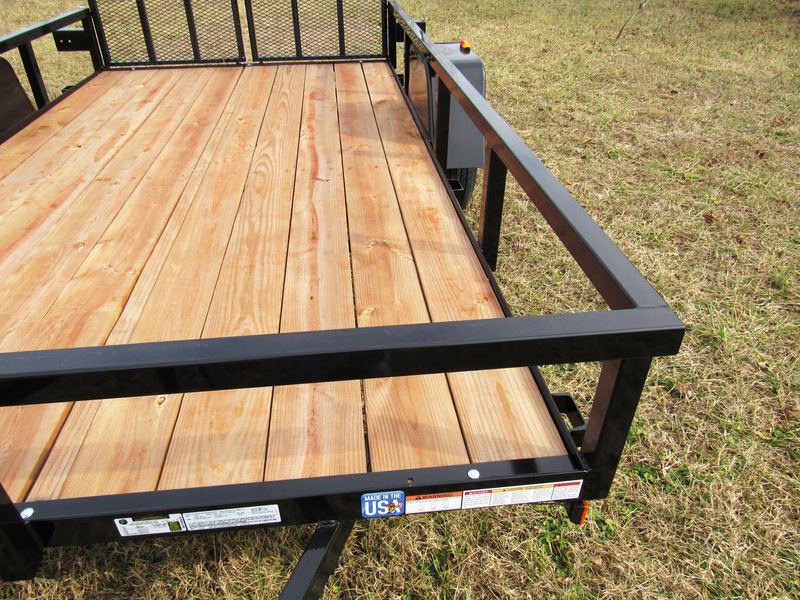 UT models feature a square-tube top rail AND square-tube uprights. 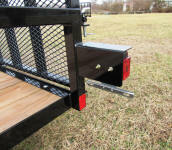 On UT models, the base and uprights of the rear gate are tube as well. 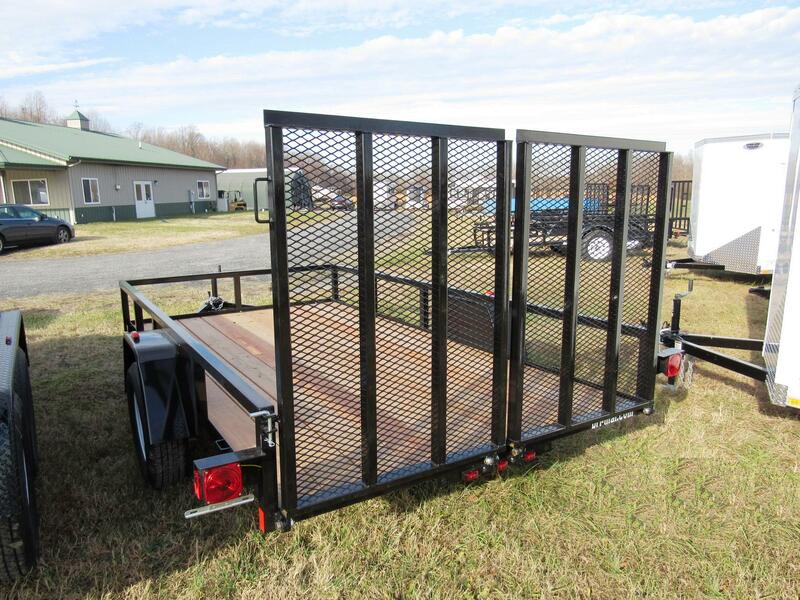 A full-width tube-frame gate would take some effort to lift, so on UT models 6’ and wider, the rear gate is split. A couple of nice touches are the tail light guards and the METAL license tag holder instead of the more common plastic. 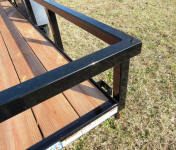 You may have noticed in the photos that the deck boards have a reddish color resembling cedar or redwood. Bri-Mar uses color-infused Dura Color pressure treated lumber for their deck planks. 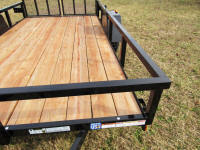 Treated lumber often weathers to gray fairly quickly, but the dyed planks keep your trailer looking new longer. 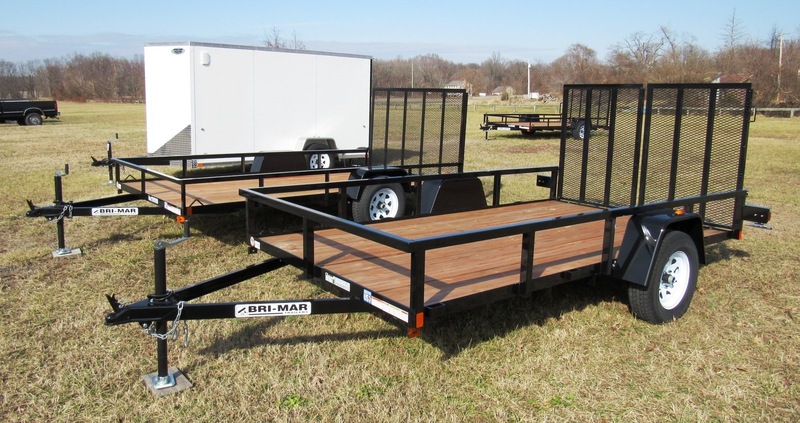 As mentioned in the model listings, Bri-Mar also offers tilt trailers, car haulers and low profile and deckover equipment haulers. 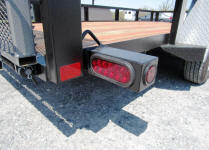 Many models come with LED lighting and radial tires as standard. 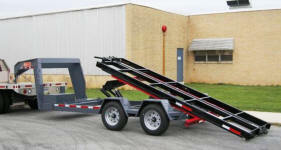 A gooseneck option is offered for some equipment hauler and tilt trailers. 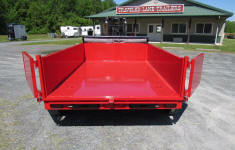 A variety of color options is offered for all models. This just scratches the surface of Bri-Mar’s extensive offerings. 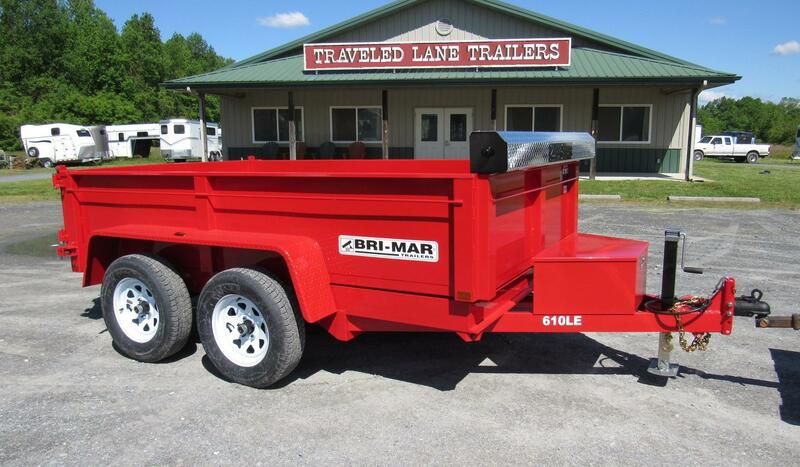 Fortunately, Bri-Mar has an easy-to-use and comprehensive website, so there’s no need for us to recreate it here. 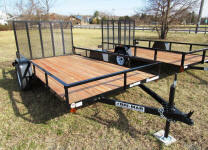 Click here to go to Bri-Mar’s website to learn more about the model(s) of interest. 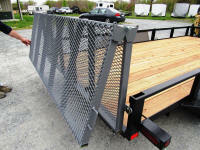 BWise trailers possess everything good we said about the Bri-Mars and then some. 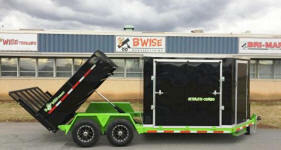 BWise offers dump trailers, equipment trailers, car haulers, utility trailers and landscape trailers, but they also offer specialty trailers such as the DU Ultimate Dump series and the new-for-2018 Multi-Tasker, which can be fitted with a variety of options such as Dumpster, Tilt Deck, Dump Bed, Leaf Box and more. 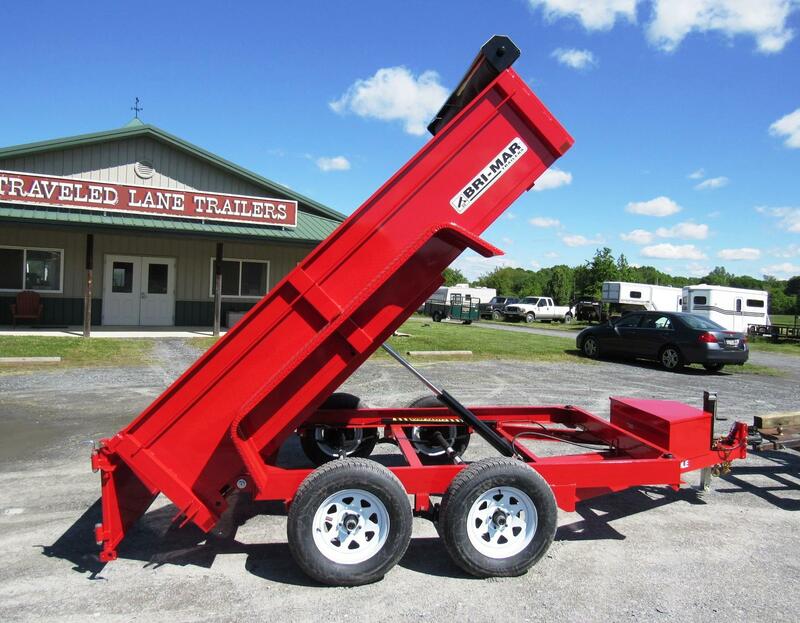 Also new for 2018 is the Ultimate Combo, which has a 7’x8’ enclosed trailer front section with a 7’ x 10’ dump body rear section. 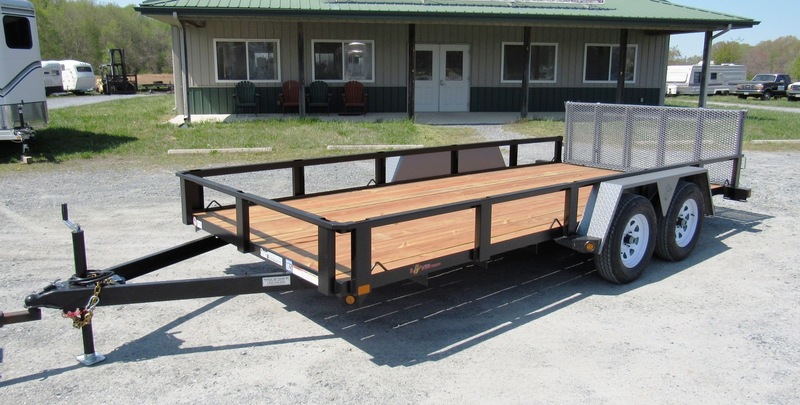 With the Ultimate Combo, you have your cargo trailer and dump trailer all in one! The Ultimate Dump lives up to its name. 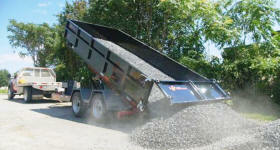 It comes in dump body lengths of 12 to 16 feet, with 48” sides. 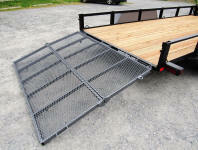 The top 20” of those sides folds down for easier loading. 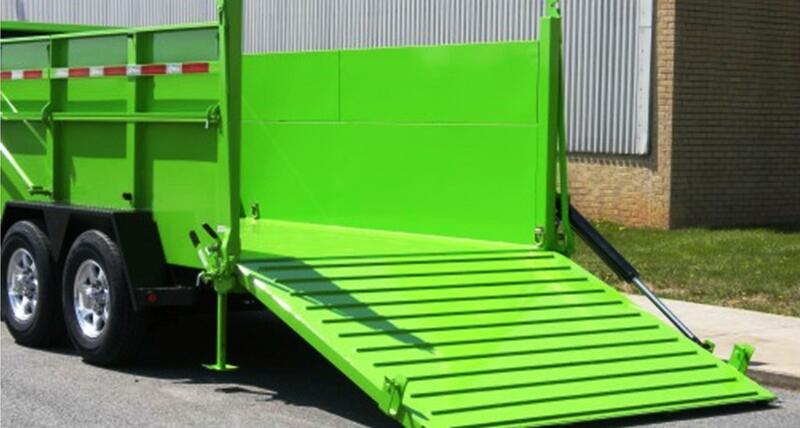 And it has several “just press a button” features… There’s a hydraulic double-acting ramp gate that lowers to let you load equipment and lifts for metering as you dump. Just to be clear, the ramp gate is powered in both directions. And when it’s time to disconnect, no need to crank the jack. 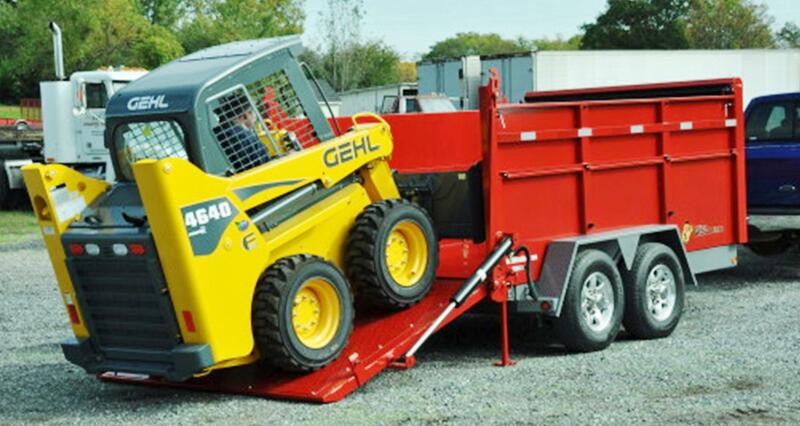 That’s hydraulic, too. 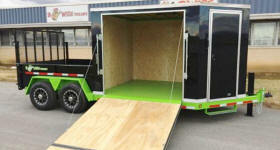 In BWise’s early days, they decided to have some fun with colors and it was a move well-received by customers. 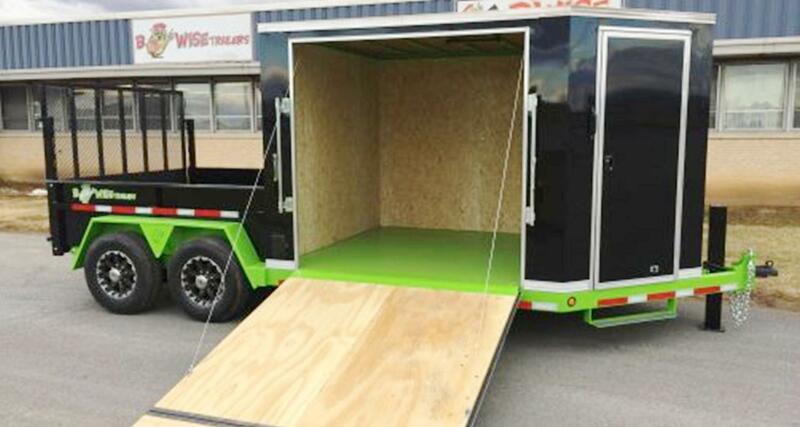 If you’re looking to call attention to your business or just want an eye-catching trailer for personal use, please note that BWise offers a dozen powder-coat colors as standard. On many models, two-tone is offered at no charge. If you ever saw an Ultimate Dump in Orange or Lime Green with Hammertone (textured dark gray) chassis, you probably took note and remember it. 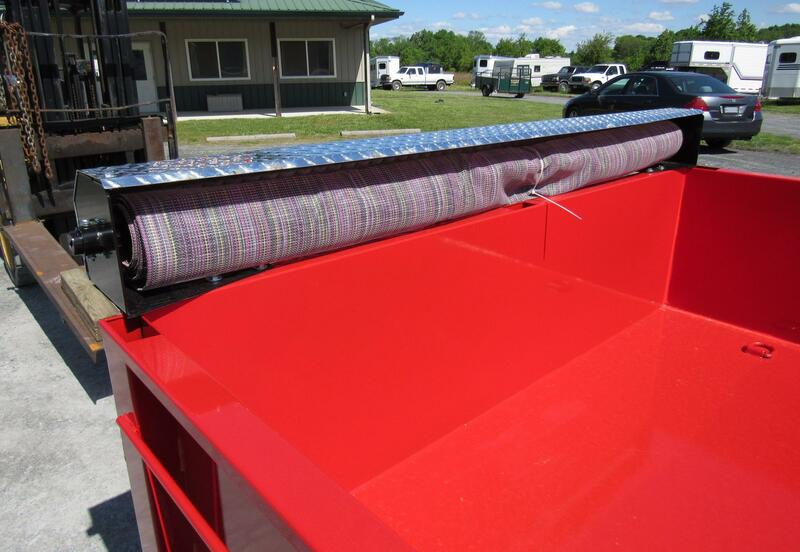 Want green and yellow so your trailer colors match those of your favorite tractor? 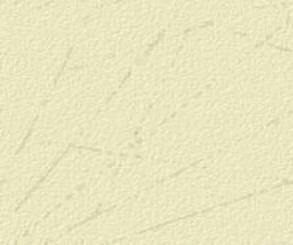 BWise will do it. 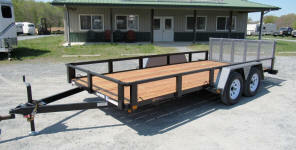 Other color combinations are available. 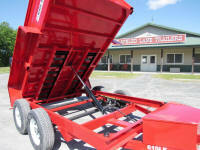 Dump trailer options include side extensions, spring-loaded tarp kit, wireless remote, spare tire, aluminum wheels and more. 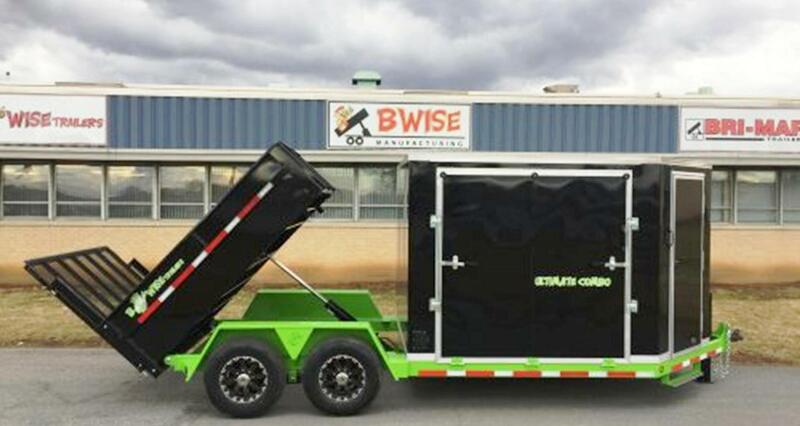 Other BWise trailer types include low profile and deckover equipment trailers, gravity tilt and hydraulic tilt trailers (including some deckover tilts) in GVWRs up to 23,000 lbs. 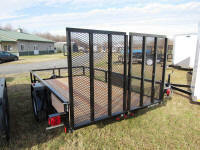 They also offer U Series utility trailers, L Series Landscape trailers and open and full deck car haulers. 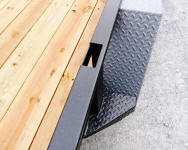 We’re showing some details of an L16-7 landscape model. 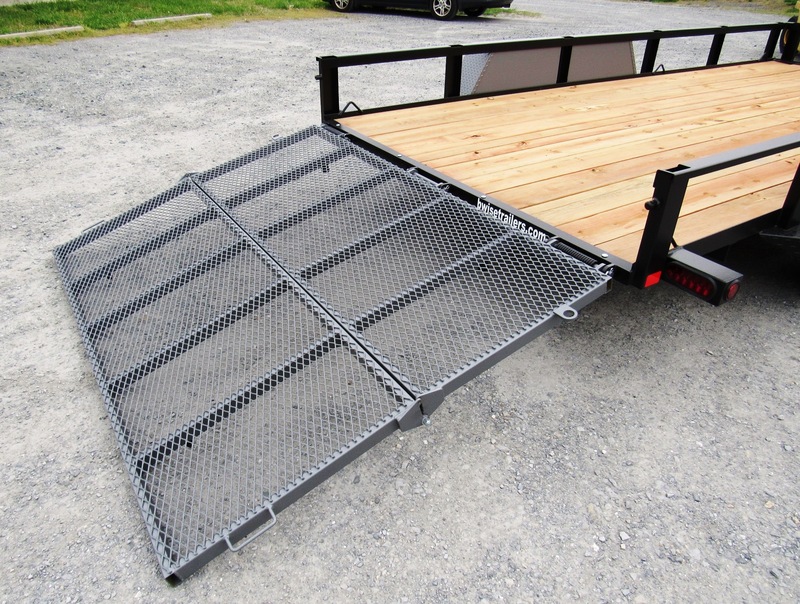 Note the channel top rail with integrated stake pockets, tidy angled corners and the folding 5’ rear gate. 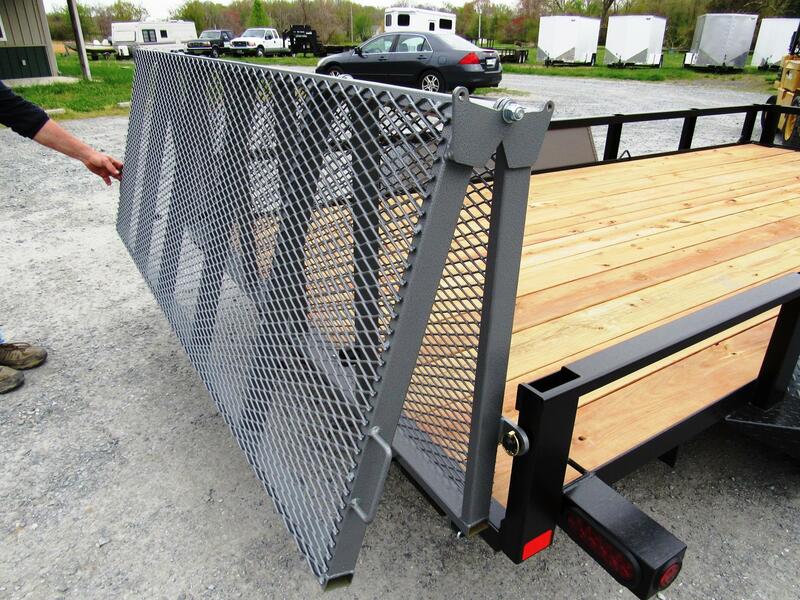 The 5’ gate offers a more moderate loading angle than the more typical 4’ gate, but because it folds, you’re not dealing with the drag of a 5’ gate while towing. Unassisted, that 5’ gate would take some effort to lift; fortunately, BWise has included a very effective spring assist. As with the Bri-Mars, the BWise trailers are powder-coated and there are Dexter EZ-Lube axles. 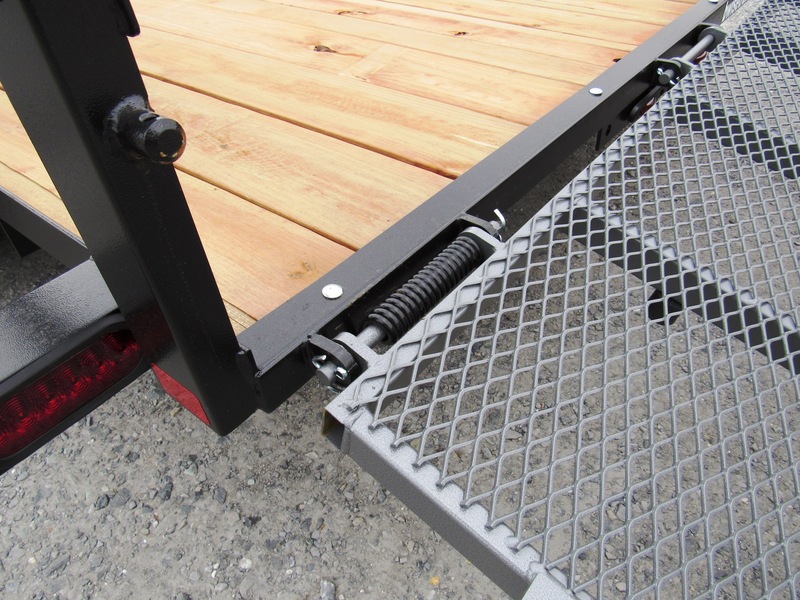 On models equipped with brakes, there are Nev-R-Adjust brakes on all axles. LED lights and radial tires are standard on all BWise models. 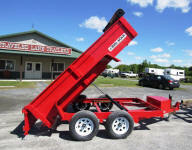 On dump trailers and hydraulic tilt trailers, a Group 27 battery is standard. 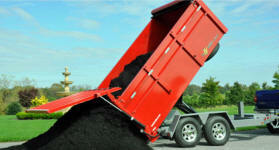 BWise has an excellent website, so rather than attempt to recreate here, we’ll link you to it. Click here to go to BWise’s website and learn more about the model(s) of interest (and check out some of those color combinations!). © 2019 Traveled Lane Trailers, Inc. All rights reserved.